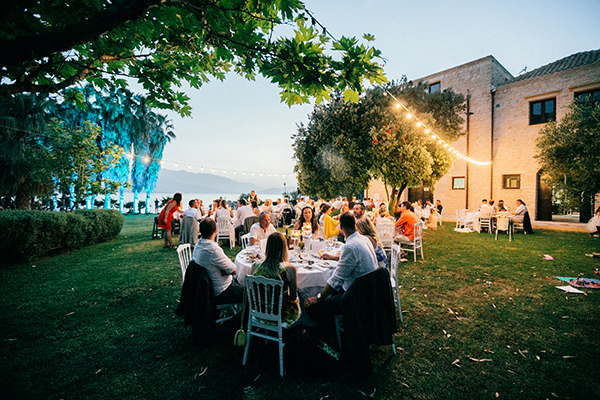 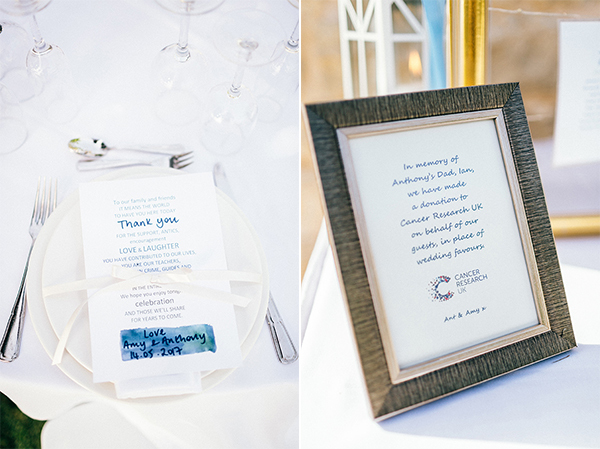 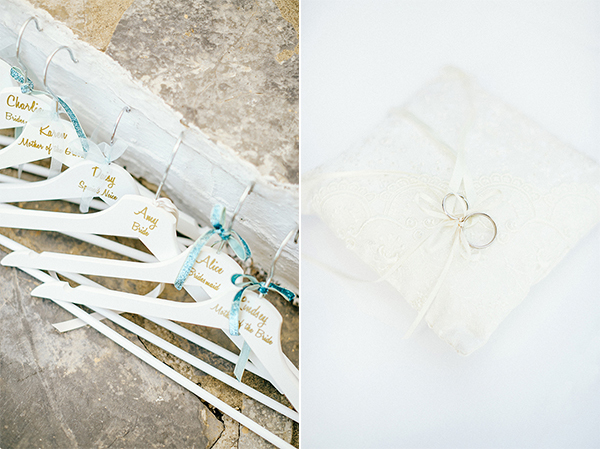 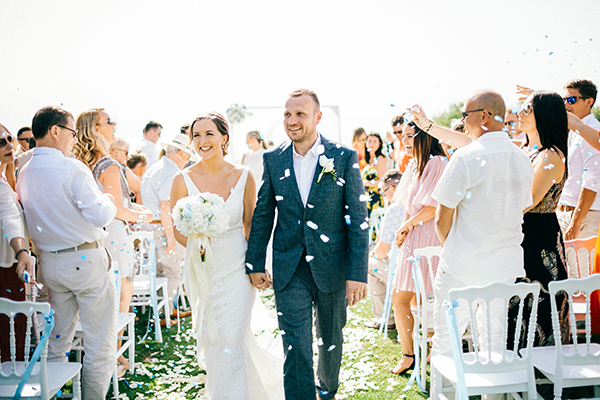 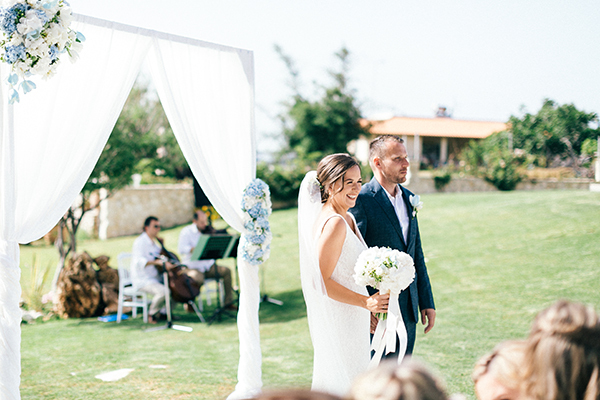 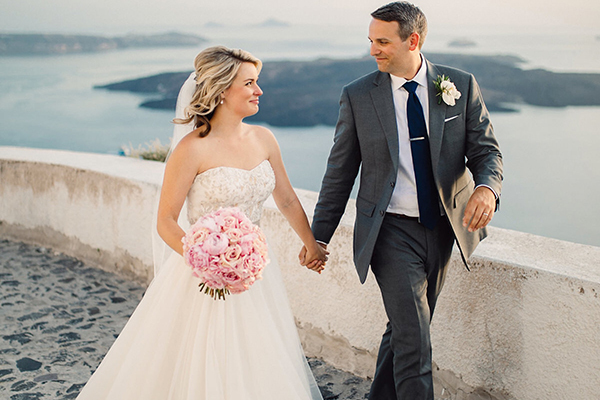 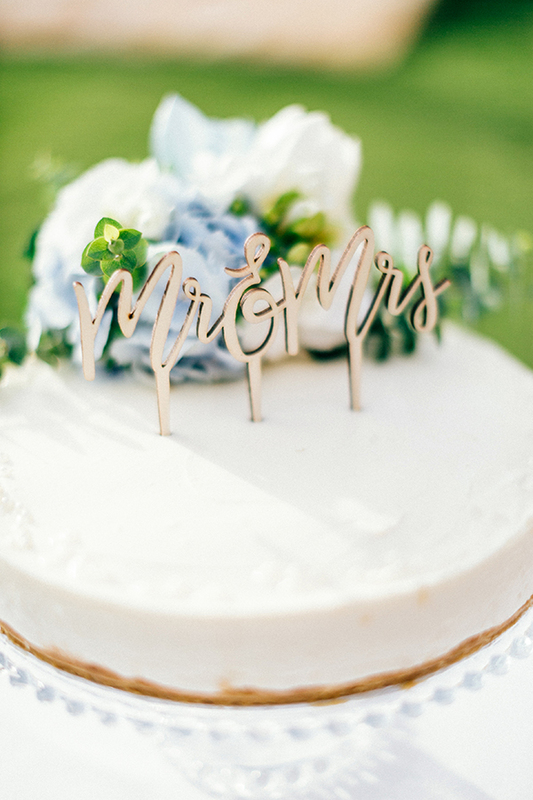 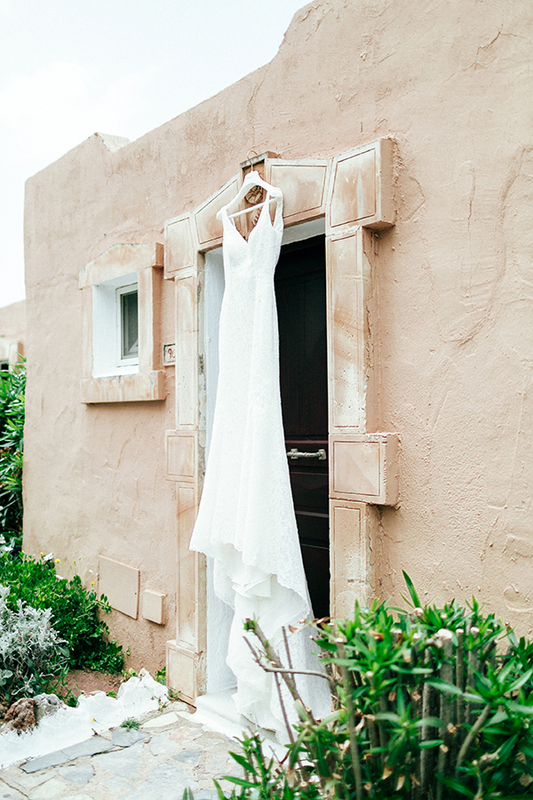 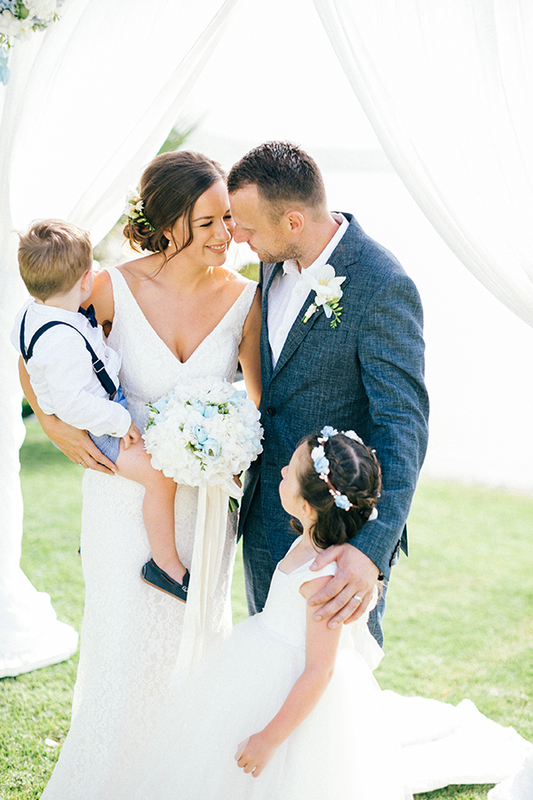 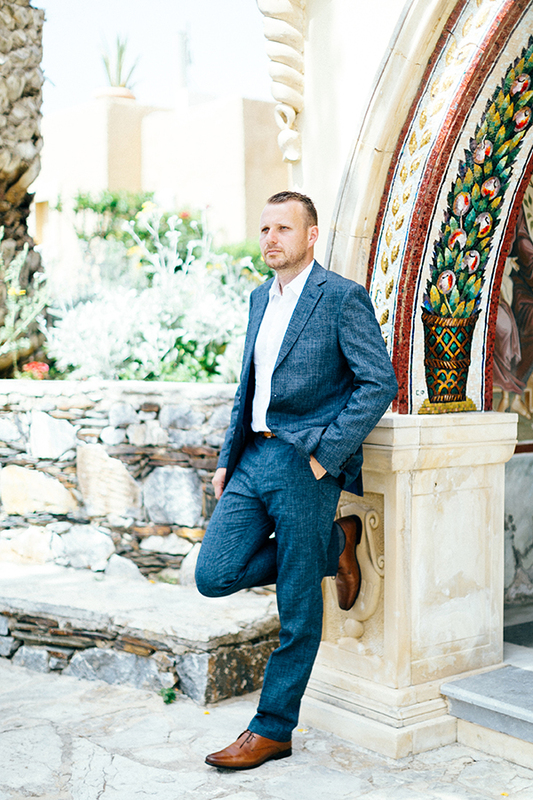 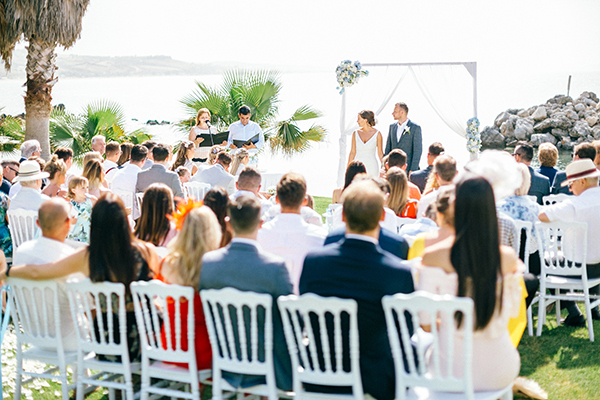 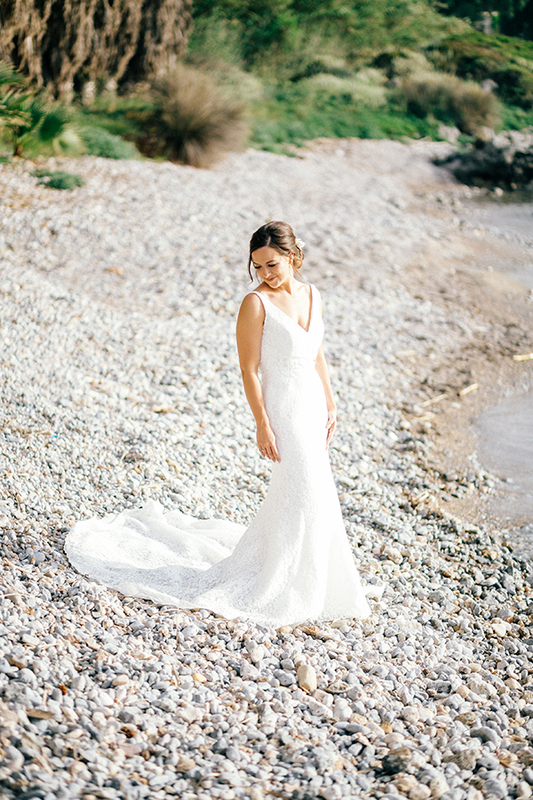 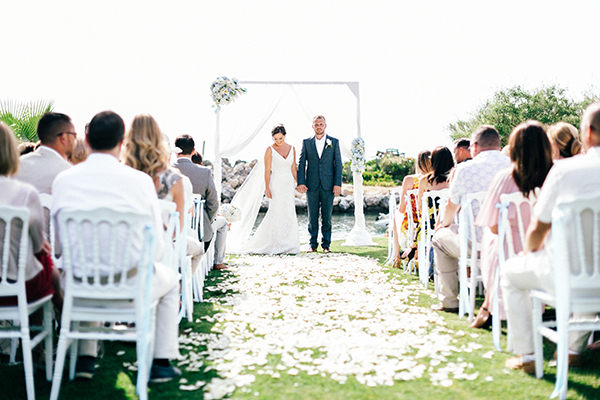 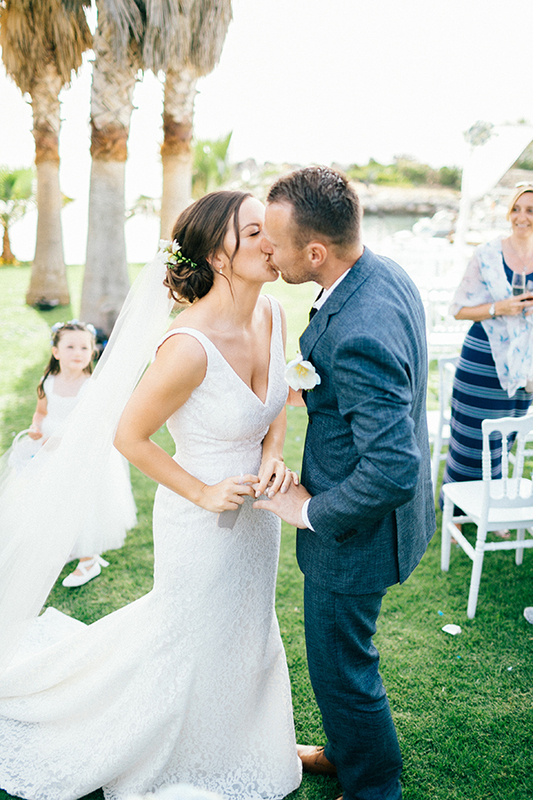 Overlooking the deep blue sea, this gorgeous destination wedding in Crete will steal your heart! 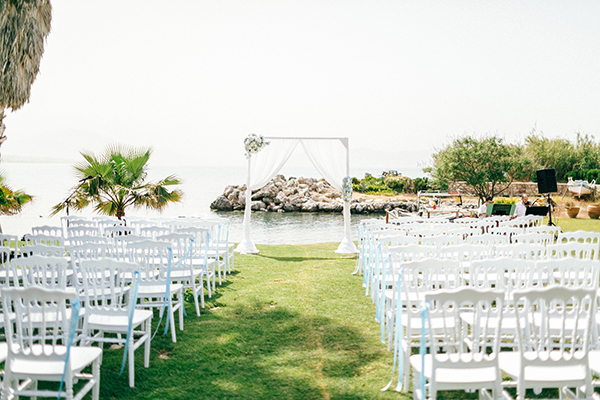 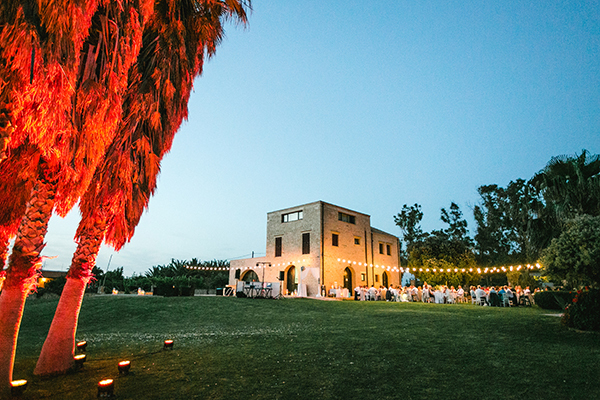 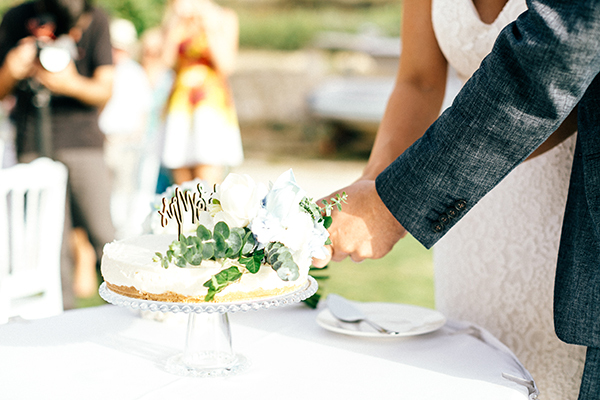 Both ceremony and reception held in an outdoor, greenery venue with a breathtaking view. 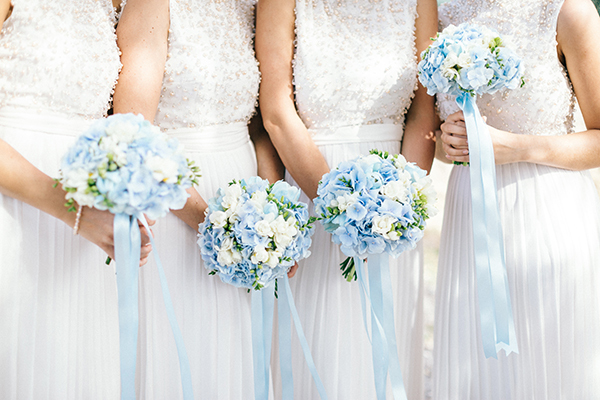 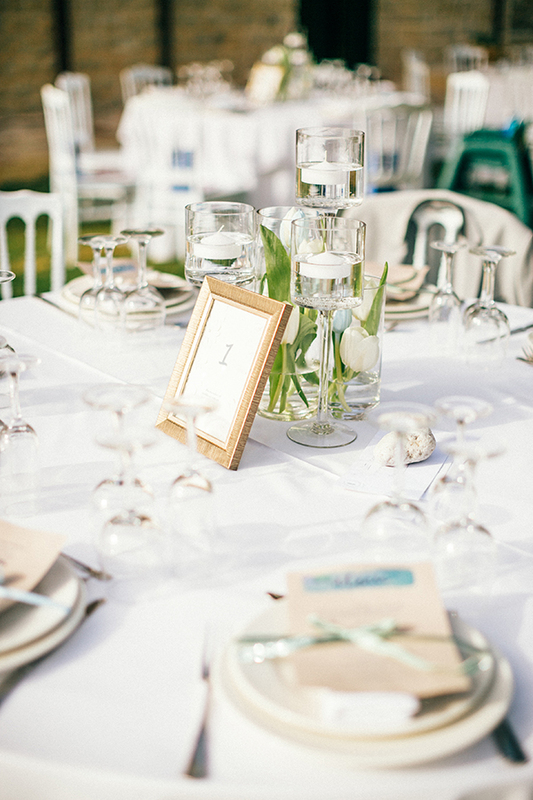 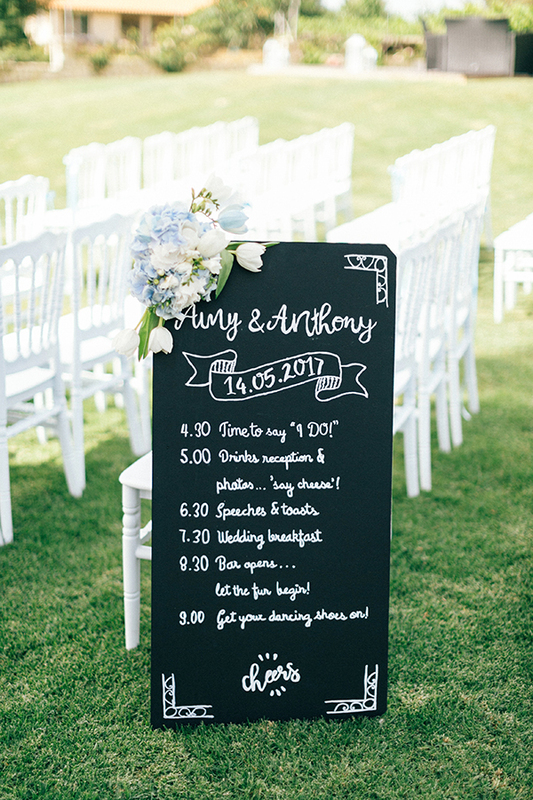 The dominant colors of today’s wedding planned and styled beautifully by Moments Wedding Planners were white and baby blue and the decoration had a combination of wooden and elegant details, that matches perfectly the landscape. 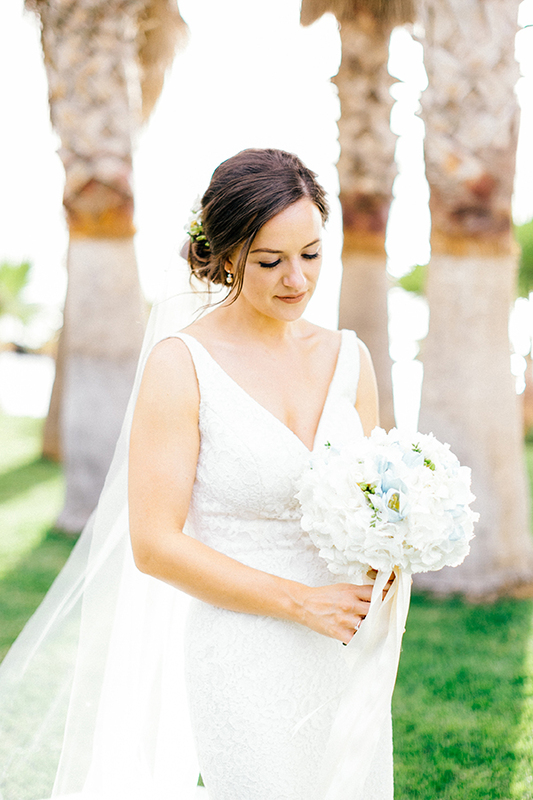 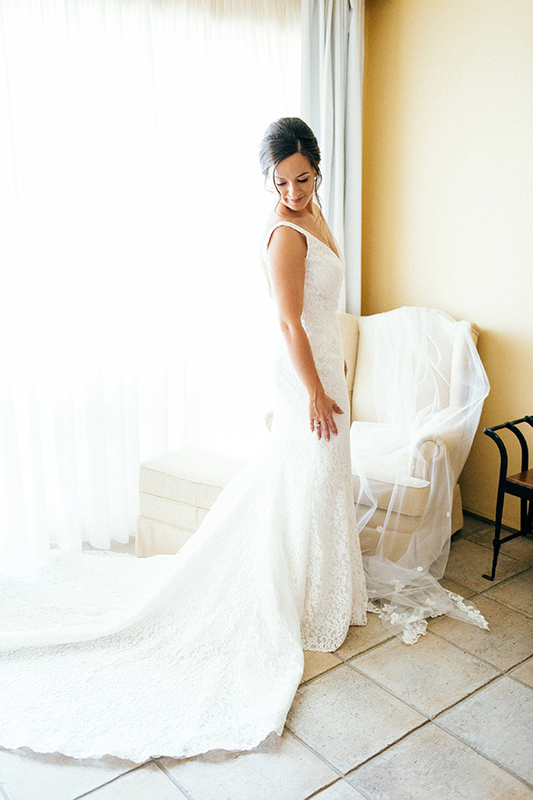 The couple decided to let the natural beauty shine and keep it all light and simple. 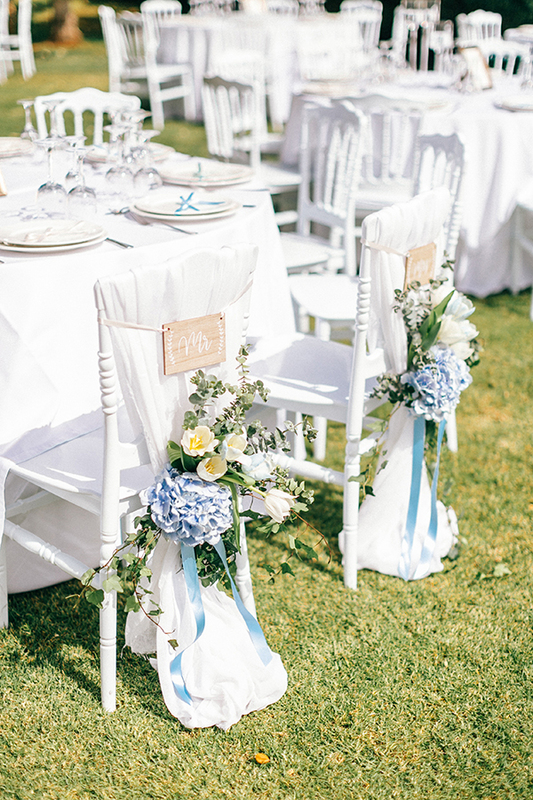 One of the most impressive details of the decoration was the all-white arch which was adorned with white and blue flowers and tulle curtains. 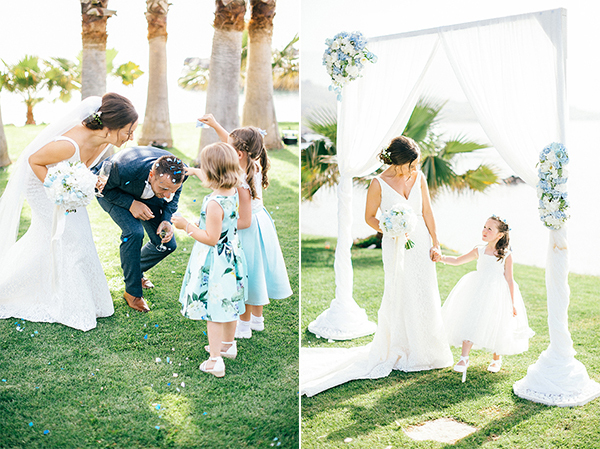 Go ahead and get lost in these wonderful images captured by HannaMonika! 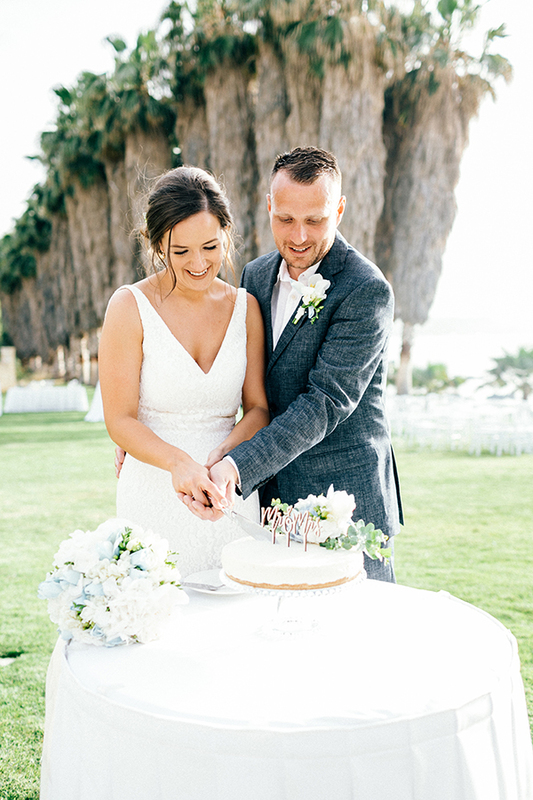 “We first met in 2006. 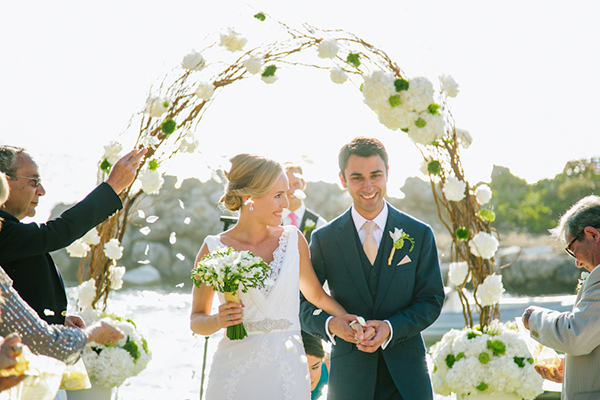 I was close friends with his cousin Natalie, we met at her birthday and started dating shortly after. 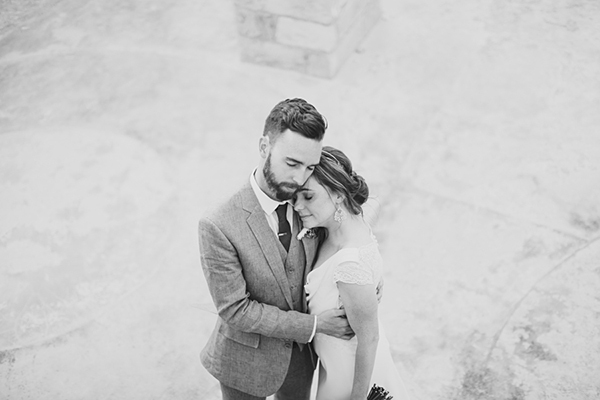 We got engaged nine years later. 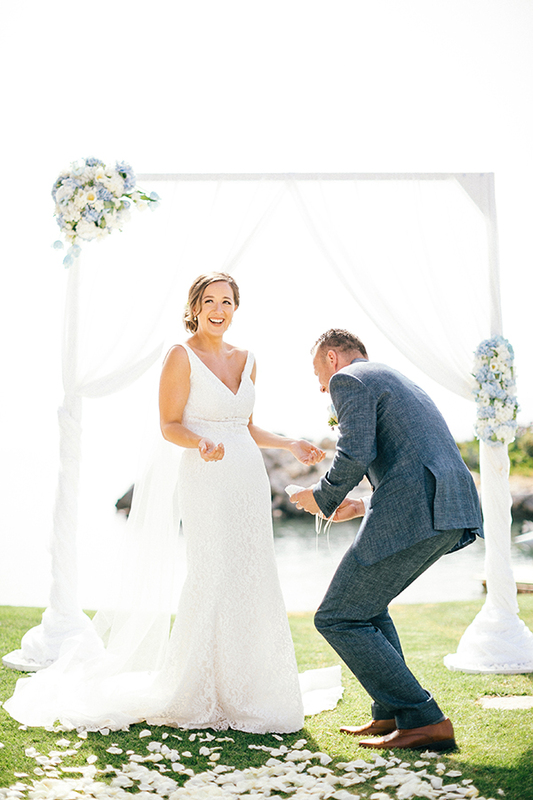 He proposed on the way to a romantic dinner with a beautiful ring he’d had made which incorporated a family diamond”, the bride shared with us.